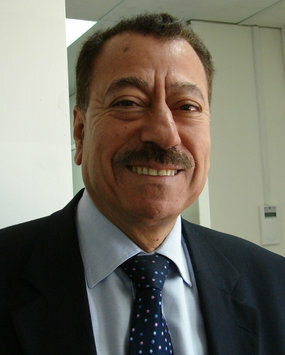 A traditional Arab media operation, according to Abdel Bari Atwan, is “characterised by editorial interference from the owners, slavishness to social hierarchies, backstabbing and nepotism.” It goes without saying that all the Arab local-national press, TV and radio stations are controlled by their respective regimes. Only in the pan-Arab sphere, beyond the control of any single regime, is there a possibility of anything better. Yet of the pan-Arab newspapers, ash-Sharq al-Awsat and al-Hayat are owned by different branches of the Saud family dictatorship, while the smaller-circulation al-Arab is part of the Libyan regime’s propaganda apparatus. Even after the satellite revolution, pan-Arab TV remains tame and partial, fattened and diluted by Gulf money, often providing its viewers a contradictory diet of Islamic and American-consumerist bubble gum. The second most famous channel in the Arab world, al-Arabiyya, is yet another mouthpiece for the Sauds (during last winter’s Gaza massacre it became known amongst Arabs as al-Ibriyya, or ‘the Hebrew’). The most famous channel, al-Jazeera, is of course the model that broke the mould. Its challenging reporting and inclusion of all sides in open debate has had a revolutionary effect on the Arabs.